US national security adviser John Bolton said on Tuesday that Russian meddling in U.S. elections had backfired on Moscow, providing a lesson to the Kremlin: "Don't mess with American elections." 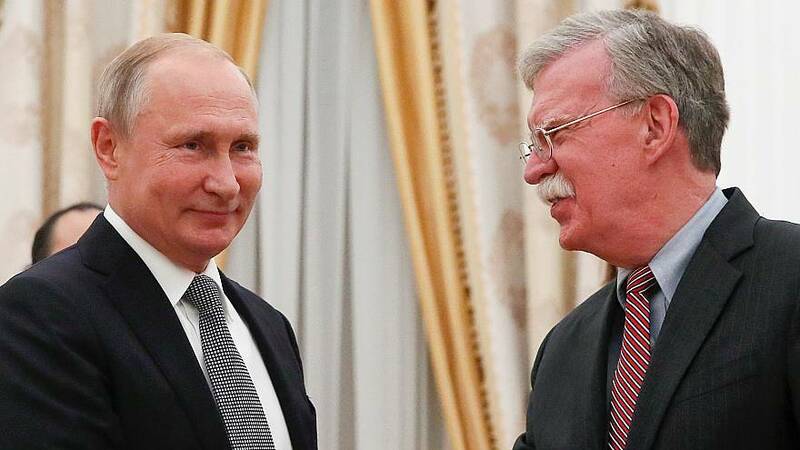 Speaking during a visit to Moscow, Bolton said there was no evidence that the meddling - which Russia has denied - materially affected the outcome of the 2016 presidential election, however, that it did create mistrust towards Russia. US intelligence agencies say Russia carried out a campaign of hacking and propaganda targeting the 2016 poll in an attempt to sow discord, discredit Democratic nominee Hillary Clinton and boost support for Republican Donald Trump. The US Department of Justice and Congress are investigating the interference and any possible collusion by Trump's campaign. Trump has repeatedly denied collusion. On Monday Bolton told radio station Ekho Moskvy that election interference was "a major obstacle" to achieving agreement on issues where the two countries have a shared interest. "The point I made to Russian colleagues today was that I didn't think, whatever they had done in terms of meddling in the 2016 election, that they had any effect on it, but what they have had an effect in the United States is to sow enormous distrust of Russia," he said, according to a transcript given by the White House. Bolton warned the Russians: "You shouldn't meddle in our elections because you're not advancing Russian interest".